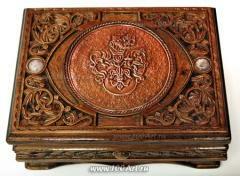 Thai artistic woodcarving works are worth for keep in your collection. 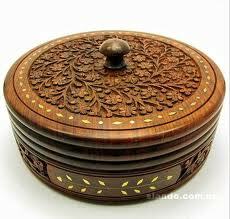 It is a product with carving hand-made from Thail woood. It is not only normal decorating warehouse but it can be reflex to the attitude of Thai classical period also. 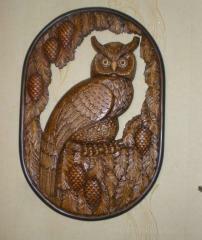 Wood Carving: is an art form, includes any kind of sculpture in wood, from the decorative bas-relief on small objects to life-size figures in the round, furniture, and architectural decorations of Thai. The woods used vary greatly in hardness and grain. 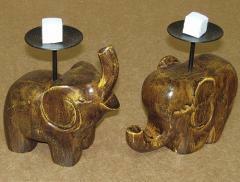 The tools are simple gouges, chisels, wooden mallets, and pointed instruments. Although they were universally one of the earliest art media, wood carvings have withstood poorly the vicissitudes of time and climate. 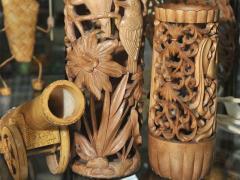 A few ancient examples have been preserved in the dry climate of Thai intellect, which is the great method to preserve the woodcarving products. 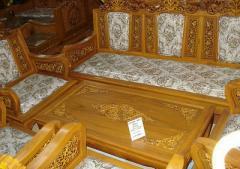 A complete range of products and services Thai Woodcarving, Company. 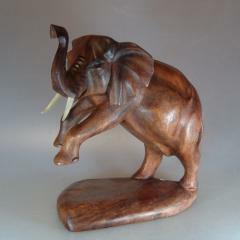 All information about Thai Woodcarving, Company in Doi Lo (Thailand).